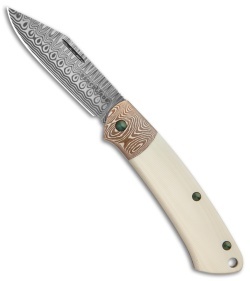 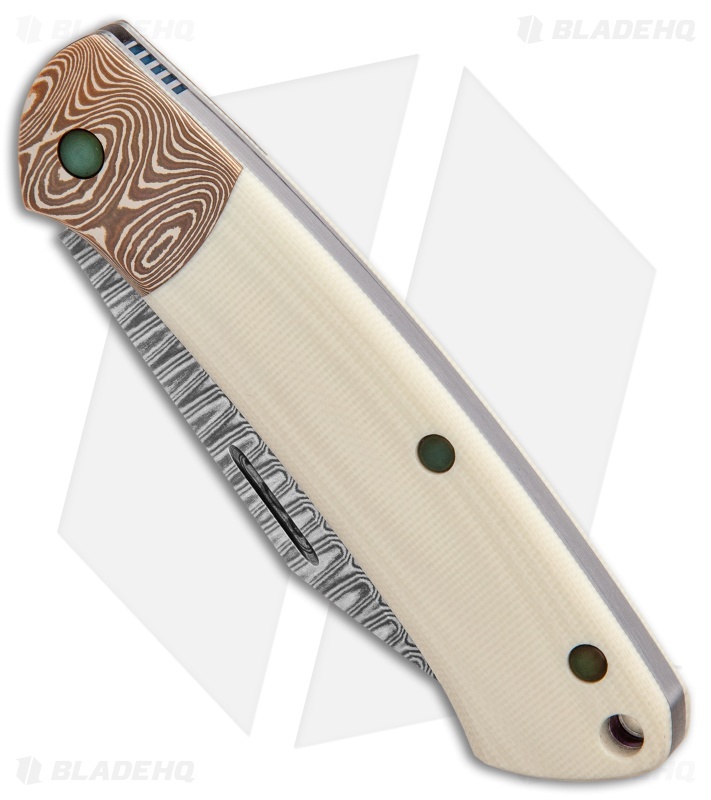 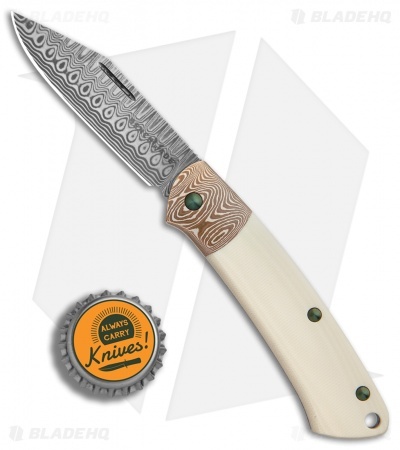 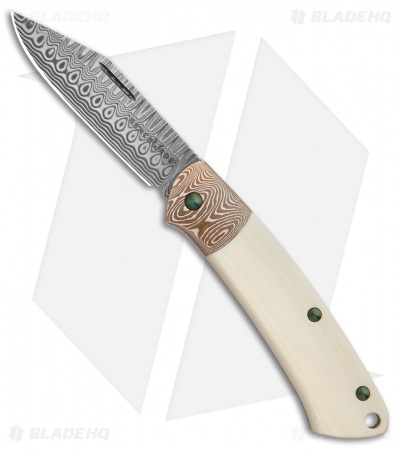 This Gold Class Proper model features contoured ivory G-10 scales paired with a mokume bolster, jeweled liners, green chromium nitride coated hardware, and a Hugin pattern Damasteel blade. 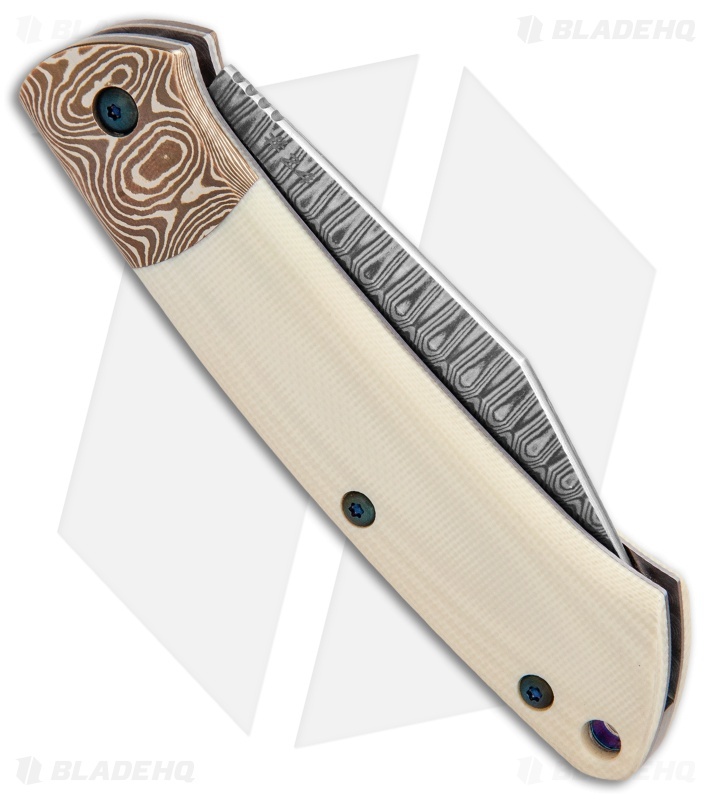 The Benchmade Proper slip joint folder is a modern take on a classic gentleman's knife design. Skeletonized stainless steel liners offer reduced weight for comfortable everyday carry in a pocket or pack. A lanyard hole in the handle accommodates key ring or lanyard attachment.